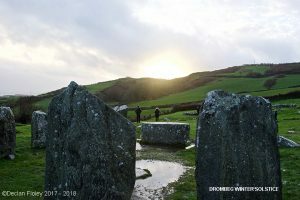 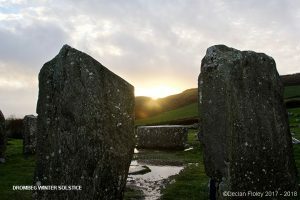 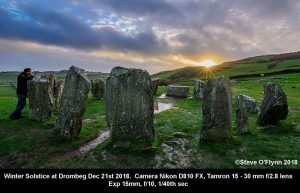 The weather on Friday 21st December looked unpromising for a visit to Drombeg stone circle–but perseverance was rewarded when about 25 members and their friends briefly witnessed–or almost witnessed–the solstice sunset there. 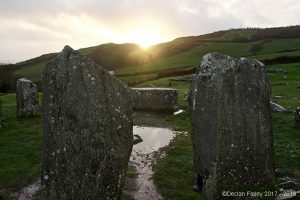 Just about 4 in the afternoon, twenty minutes or so before official sunset, the sun briefly broke through the clouds fractionally to the left of a notch in the hills which really made the day. 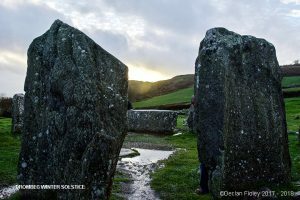 Club member Michael O’Keeffe gave a tour of the site, telling its history, the excavation of the site which took place in the 1950’s, and the relevance of the winter and summer solstice. 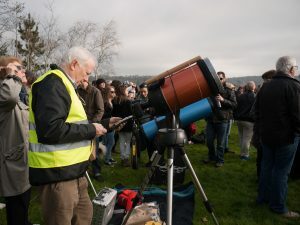 Joint Congress of University Astronomy Societies 2018 was held in February at UCC by astronomy societies of UCC, NUIG and UL. 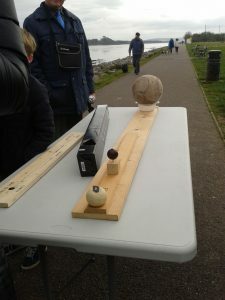 The conference offered an all-day schedule of lectures spanning many different areas of Astrophysics. 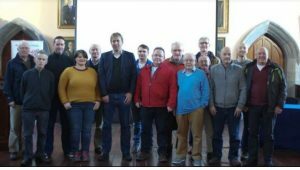 Chris Lintott, Oxford professor and Sky at night presenter gave an interesting talk about the successes of the project Galaxy Zoo emphasizing the importance of citizens involvement in science projects. 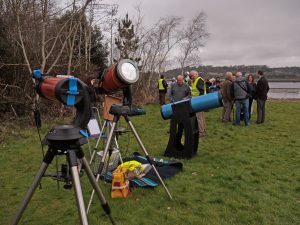 Paul Callanan gave a talk on European Southern Observatory which Ireland will soon become a member of. 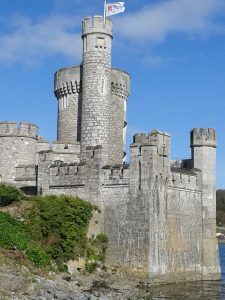 Other topics were: jet outflows of active galaxies, ejection of matter from black holes, and star formation and destruction.